Three new kitty quilts were dropped off at The Cat Clinic of Chattanooga yesterday. Of course, before they are put to use in the cubbies for the recovering kitties, Jesse the Wonder Cat, the Cat Clinic's king, chief inspector and ruler of the office had to inspect them. 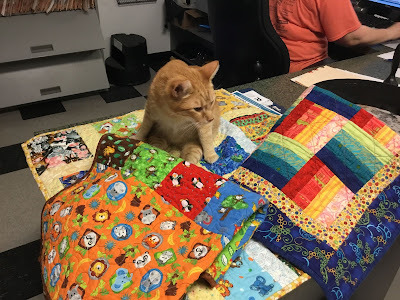 "Just doin' my job, ma'am," says Jesse. 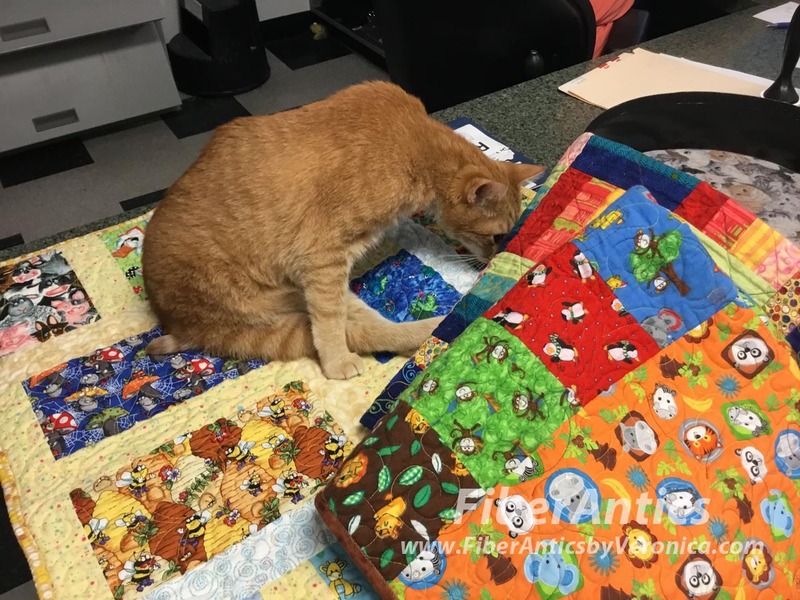 Jesse the Wonder Cat inspects the kitty quilts at The Cat Clinic. 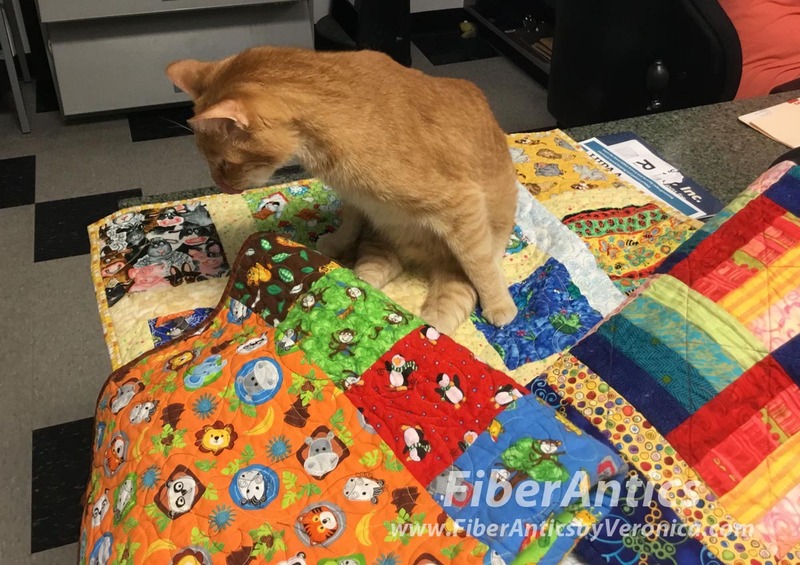 "Let's see about this one over here." Jesse inspects the three new kitty quilts. 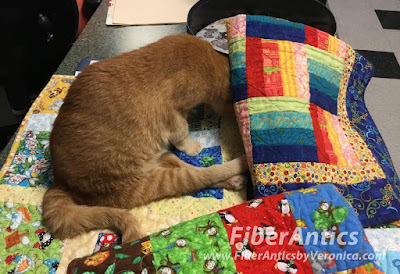 "Gotta check under here, too." Jesse doesn't miss a thing. He's very thorough. "This one's got cute animal fabrics..."
Improvisational patchwork with novelty fabric prints. "I like the flannel. It's soft and warm." 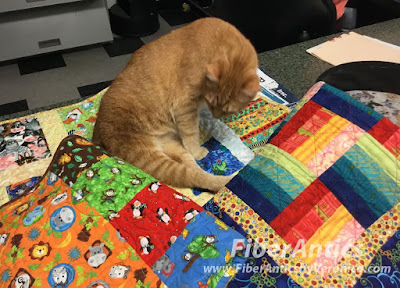 The kitty quilts are backed with flannel fabric. "Ok. Job complete! What's next?" 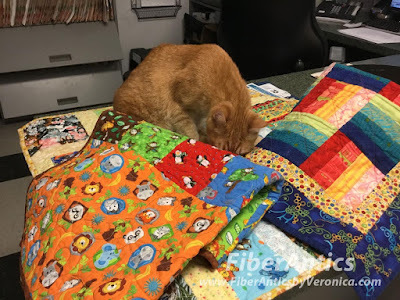 Kitty quilts are kitty approved! 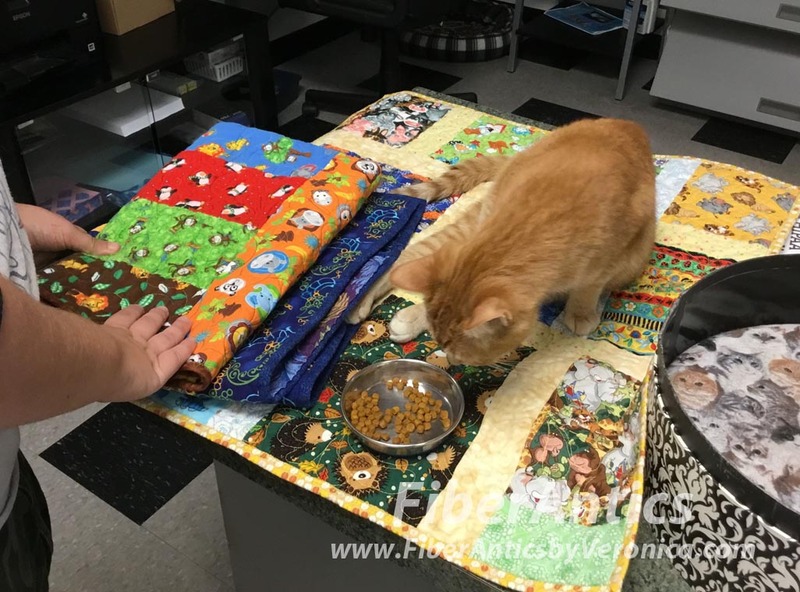 The associates reward a job well done with some kitty scratching and food! 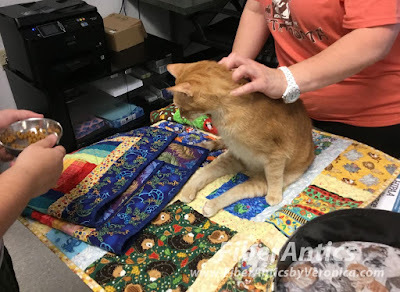 Petting time for a job well done. After inspection, the associates fold up the kitty quilts and take them to the back. "Oh, here comes Cassandra. She's gotta get into the action." Cassandra joins in after the work is done. 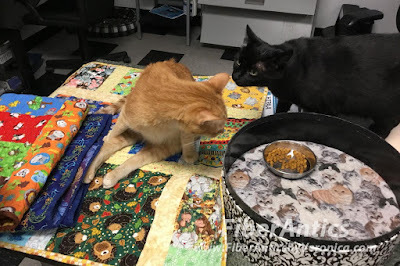 There's always something going on at the Cat Clinic. Jesse, Cassandra and Willie the Super Scooter welcome cat and human visitors alike. The Clinic also has kittens and cats for adoption. 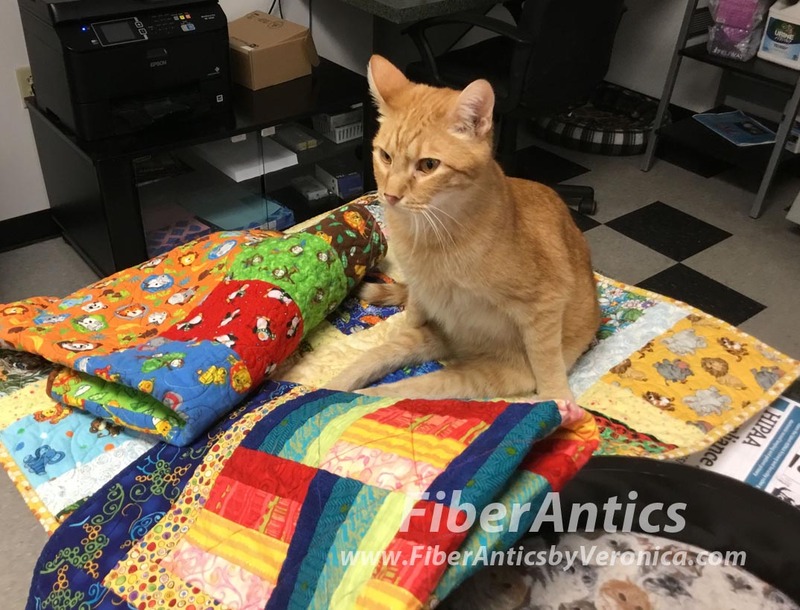 Jesse would love for his feline friends to find forever homes!